These features include emerging market reports from Brazil and Russia, an Ipsos MORI and Oxford Brookes University research review study, tips on how to create successful social video content, and predictions about the future of branded content marketing from 60+ experts around the world. I’m a consultant, educator and thought leader with a 20+ year career in industry as a digital strategist, producer and entrepreneur. I chair and speak at conferences around the globe, judge industry awards, and advise brands and agencies. You can find out more about who I am, what I do and how I might be able to help you here. The Definitive Guide to Strategic Content Marketing is a new book co-written by Justin, published by Kogan Page. It's available for pre-order in April 2018, and contains fresh insights, new perspectives and findings as part of latest iteration of his research. 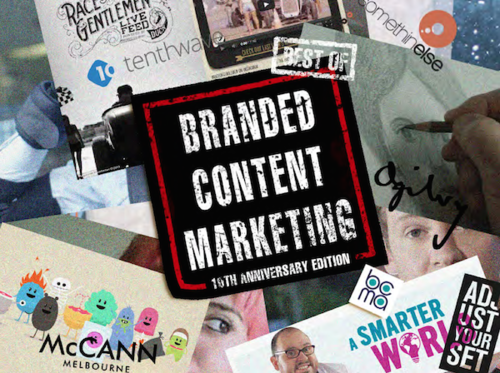 Best of Branded Content Marketing (BOBCM) was a series of e-publications and events I conceived, curated and co-produced from 2013-2017, supported by key industry bodies and The Drum magazine. The contributions from 100s of academics and industry experts across the planet have been seen 100s of thousands of times via the various distribution channels. You can see the archive of case studies, articles, expert examples, interviews and other research from the series here. I'm a consultant, educator and thought leader. My books include Connected Marketing: the viral, buzz and word of mouth revolution (2005) and The Definitive Guide to Strategic Content Marketing: Perspectives, Issues, Challenges and Solutions (2018). You can find out more about me and how I might be able to help you here.